Mural painting in black and white features a simple yet elegant impression, so that many people who choose to use the concept of black and white for his wall paintings in addition to the colorful murals. In addition to painting a mural with various colors of black and white mural, this could be the right choice to decorate your space. A nice black and white murals and need not be too crowded or detail, just a simple black and white murals and simple to give an impression of a minimalist, convenient and unsightly. Black and white are also the colours neutral colors is perfect for any decor juxtaposed with in your room. 1. Sketch directly on the wall using pencil or chalk based on sample images or concepts that you have prepared earlier. Then start colored in accordance with the concept. Search is normally used by painters of wall murals or service professionals who really adept at drawing and painting on the wall. 2. using the help of the projector. 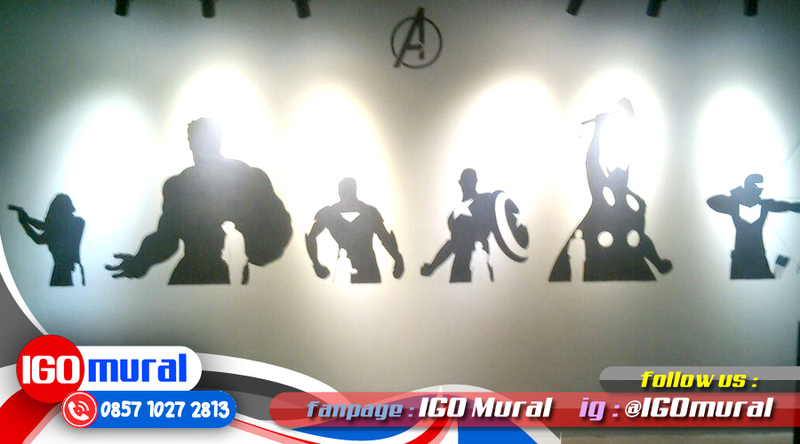 You can point your infocus projector or on the wall that you would give a black and white murals. After that you can just follow the shadows projected on the wall, and mewarnainya fits the concept. The second way is commonly used by those less adept at drawing or painting on the wall but would like to make a nice mural art in the rooms, cafe or in his Office. Mural art in black and white are still many devotees. Flexibility and high art value popularized particularly suitable to be used for the mural wall painting room, café, painting the walls of the school, restaurant, mall, Office, etc. Black and white mural said to be flexible because it can provide a wide range of themes and impressions ranging from a cheerful, funny, unique, abstract, formal, horror, classics, to modern is impressed. Street art mural in black and white too much we find along the way created by the mural artists either professional or just hanging around. This proves that the art of the mural has been ingrained and widespread in our environment. 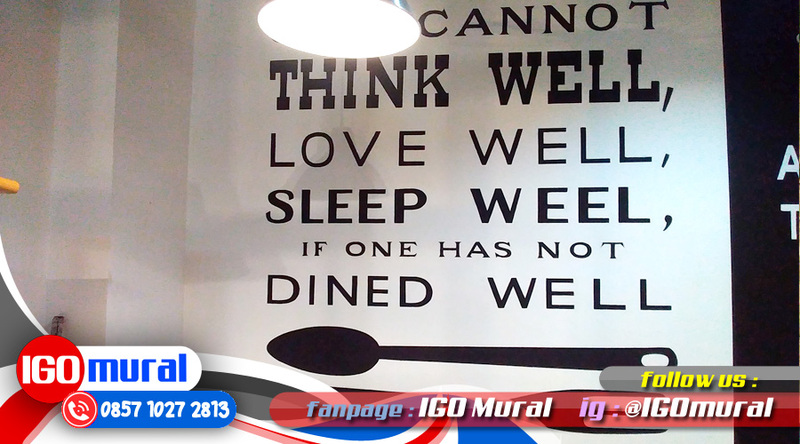 Therefore it is more people are utilizing this mural painting to enliven his café or restaurant so that people interested in visiting. If you are also interested in this black and white mural painting, you should immediately contact the service team of professionals and the mural the Mural to create one IGO MURAL. Directly contact the team IGO Mural in number 0857 1027 2813 now too. Visit our website to get more complete information about black and white mural services and services other murals and art value high.